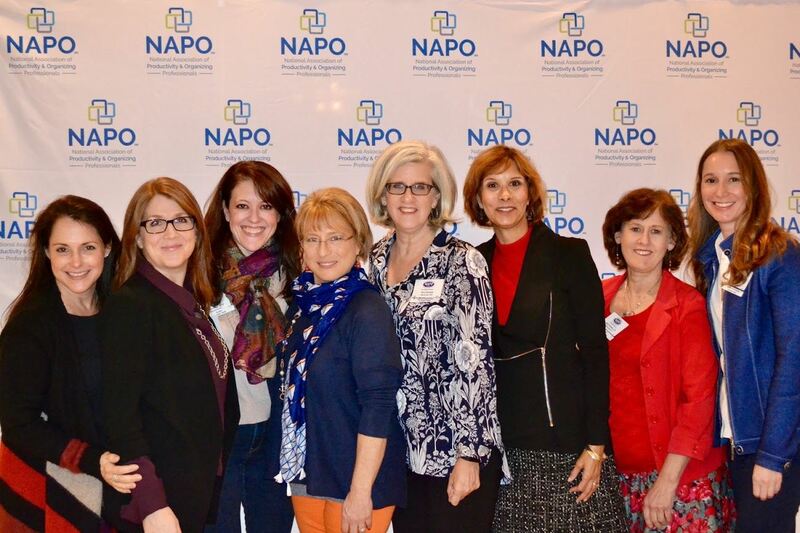 The Los Angeles Chapter is proud to be the founding chapter of NAPO. NAPO-LA is the premiere resource for Los Angeles area productivity and organizing professionals, offering educational programs, networking opportunities, and a range of benefits that serve industry veterans as well as those new to the field. **Please note that you must be a member of NAPO National before you can join NAPO-LA. You will need your NAPO member ID in order to complete your NAPO-LA application. If you are ready to become a member, click "Join Now" to begin the application, or read on for more information. If you have any questions, you can reach our Director of Membership at membership@napo-la.org. We look forward to welcoming you to the chapter. The following benefits are specific to NAPO-LA. Please visit NAPO National's website for information on the benefits of National Membership. Book Club: NAPO-LA's book club meets for an hour prior to some chapter meetings to discuss books of interest to professional organizers and productivity consultants. Business Partners (BPs): Our Business Partners are LA area businesses that offer products and services related to organizing and productivity. They sometimes co-sponsor meetings and special events. Chapter Library: Additional resources are available through our lending library for 30 days (or span between consecutive chapter meetings). 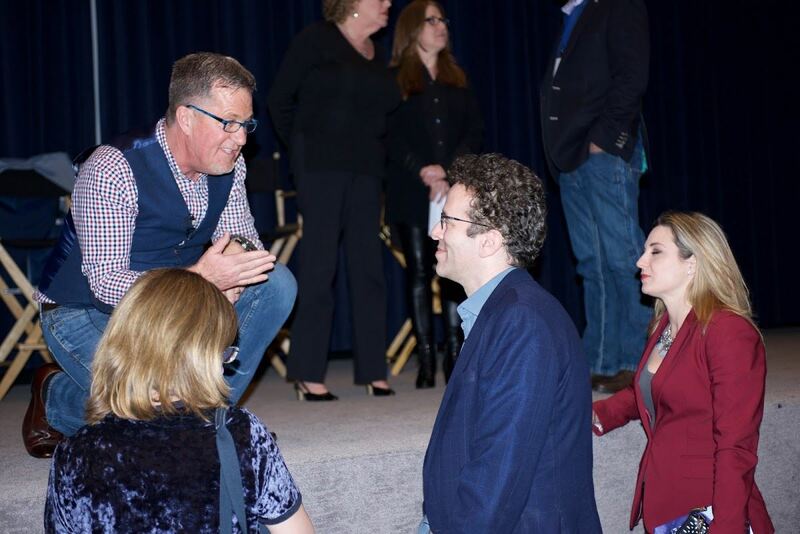 Community Visibility: Hear from expert speakers on a variety of organizing, productivity and business-related topics at NAPO-LA chapter meetings and special events. Speakers include both experienced members of NAPO-LA and non-members with expertise in relevant areas. Exclusive Communication: Receive members-only emails from the NAPO-LA Board of Directors and Neighborhood Group leaders about meetings and special events and other opportunities. Expert Speakers: Gain exposure for your business through NAPO-LA’s various community activities and marketing channels. Leadership: NAPO-LA volunteers have the opportunity to gain leadership skills and exposure and support the professional organizing and productivity industry. Our annual Leadership Forum in January is specifically focused on volunteerism and leadership. POINT community: Members use our chapter community of the National POINT platform to exchange resources, ask for advice, get help solving problems, and share opportunities to work together. Members-Only Discounts: Members receive special pricing on all NAPO-LA sponsored events. Members-Only Section of the Website: Access to chapter forms and documents, including the chapter’s annual budget, organizational chart, newsletter archives, and more. Monthly Meetings: We meet ten times a year on Monday evenings, typically the 4th Monday of the month except April (National Conference) and December (holidays). Chapter meetings provide great opportunities to build relationships with other professional members & our Business Partners, learn from educational speakers, and discover new products and resources. Chapter meetings are included in Level 2 dues. Level 1 members pay $15 per meeting. Non-member visitors are limited to two meetings prior to joining. NAPO-LA Chapter Logo: Add professional credibility with the NAPO-LA logo on your website, marketing materials, and business cards. National Conference recordings: Current and previous years of conference sessions are available to members on-demand. Neighborhood Groups: Informal meetings are held on the Westside, South Bay, Hollywood, Burbank/Glendale/Pasadena, and Ventura areas. Most NGs meet on a quarterly basis. Online Referral Directory: All members (with the exception of students and emeritus members) are included in the Member Directory on the NAPO-LA website. This is a public-facing resource for those looking to hire an organizing or productivity professional, as well as a means of contacting your fellow members. Members with PROVISIONAL status at the NAPO National level are indicated with asterisks following their names. POLA: The Professional Organizers Learning Academy offers workshops and seminars on topics of interest to members. POLA classes are often held on weekends at the homes of members, with registration fees separate from regular chapter dues and meetings. Participation typically qualifies for Continuing Education credits. Social Media Connectivity: Follow NAPO-LA @napo_la on Instagram and @napolosangeles on Facebook and Twitter. Submit a ”Tuesday Tip” from the Members Only page of the website for a chance to be featured. Special Events: NAPO-LA hosts events throughout the year including Go Month activities and rewarding volunteer projects to give back to the community. 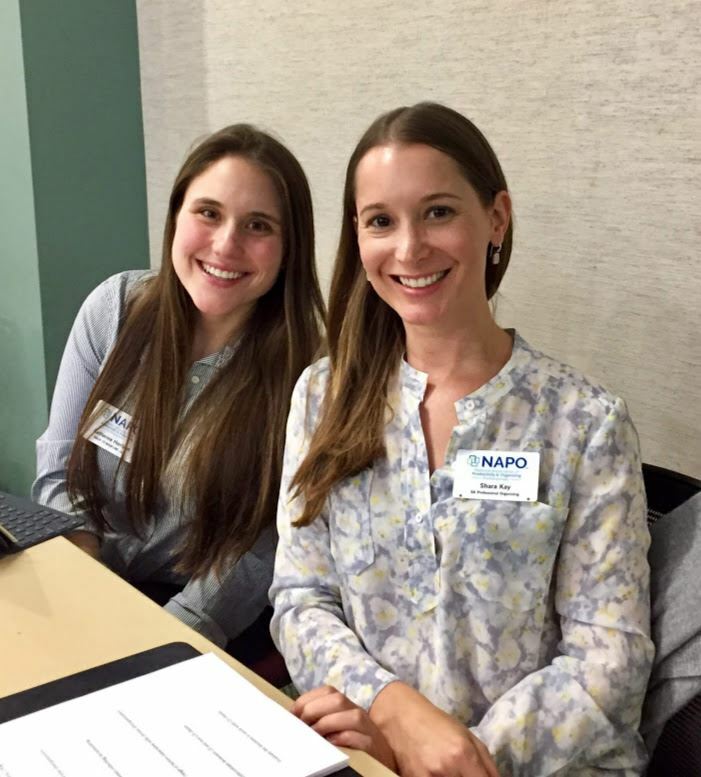 Volunteering: When you volunteer in one of the many available areas, you work alongside other professional organizers to continue to make NAPO-LA a great chapter and/or help organize the Los Angeles community. Benefits include professional and personal growth, an opportunity to learn about organizing from veteran members, a supportive environment to expand your skills, networking opportunities, possible business opportunities, great friendships, and much more! Workshops & Seminars: Please see POLA, above. In certain years, NAPO-LA offers organizing & productivity workshops for Get Organized month in January. In order to join NAPO-LA, you must first join NAPO National. They have several membership categories. You may join NAPO-LA while a Provisional Member of NAPO National. Eligibility: Candidates must be members of NAPO National and in good standing. Members who have just joined NAPO National as Provisional Members, and are still completing NAPO University’s Professional Practices Coursework are welcome to join NAPO-LA. If you are a Business Partner, you do not need to join NAPO National. Multi-Person Memberships: Each company joining the chapter under a multi-person membership must be registered with National as a multi-person company. Please contact Membership@napo-la.org for more information. Student Membership: A full-time student joining the chapter under a student membership must be registered with NAPO National as a student. This level does not include listing in the Member Directory. All other Level 1 benefits are included. Available any time of year, pro-rated by month. Emeritus Membership: This membership is reserved for retired Professional Members at least 55 years of age, no longer engaged in the organizing and/or productivity profession, who have been members of NAPO-LA for at least 15 years. This level does not include listing in the public Directory. All other Level 1 benefits are included. Available only in October-November. Please contact Membership@napo-la.org to change membership status. Visitors: You may attend up to two NAPO-LA chapter meetings as a visitor ($15 per meeting) prior to joining. Application: Click here to join now. Once your application is received and your NAPO National membership verified, you will be sent links to our on-demand New Member Orientation (NMO) and NMO Evaluation form. Complete these two items to activate full NAPO-LA member benefits. Please note processing of new members can take up to two weeks. Business Partners: Chapter Business Partners (BPs) are not required to join NAPO National. Please use the separate Business Partner Application to join NAPO-LA as a BP. NAPO-LA is the founding chapter of NAPO, the industry-leading National Association of Productivity & Organizing Professionals. 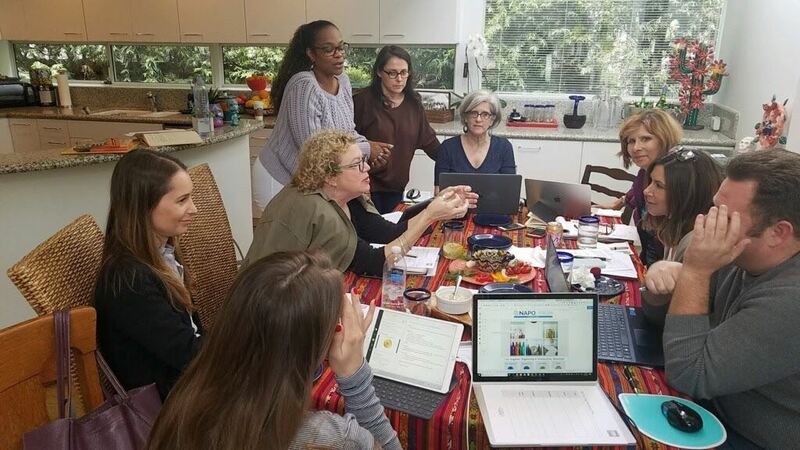 In 1983, Beverly Clower, Stephanie Culp, Ann Gambrell, Maxine Ordesky, and Jeannie Shorr began gathering in living rooms in the Los Angeles area to network and exchange ideas about the emerging professional organizing industry. The group gained momentum and formalized their association in August 1985. Today, NAPO has more than 3,500 professional members around the world. Several of the founders are still active members of the Los Angeles Chapter.